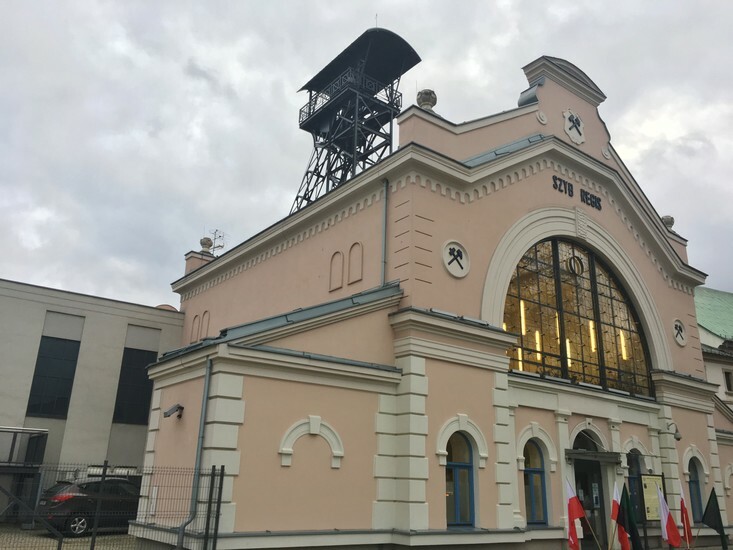 Kraków is without a doubt one of the most popular tourist cities in Central Europe, and as you’ve likely heard, one of its top tourist attractions is a salt mine actually located in Wieliczka—a small town about 15km to the southeast. 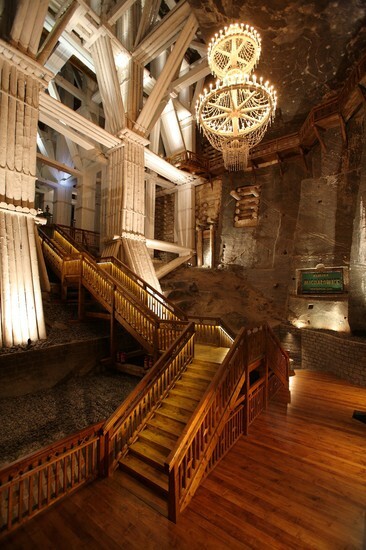 An astounding 1.4 million people visit Wieliczka Salt Mine each year, and it’s hardly a recent phenomenon—people have been visiting the salt mine for centuries with notable guests including Nicolaus Copernicus, Johann Wolfgang von Goethe, Fryderyk Chopin, Ignacy Paderewski, Pope John Paul II and former US president Bill Clinton. 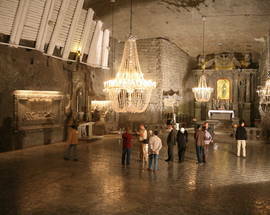 In fact, the first official tourist trail opened underground here way back in the mid-19th century. 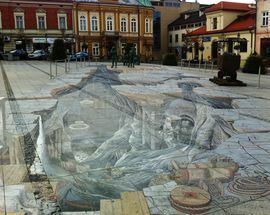 But it’s not only tourists who come to visit. 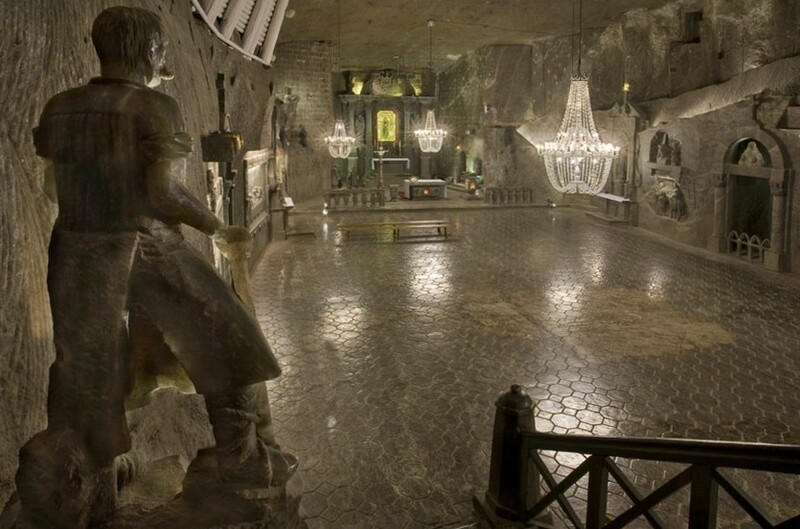 So deep is the love of the locals for this place that in a recent survey, Cracovians voted Wieliczka Salt Mine as their number one favourite thing about Kraków; again, not bad for an attraction in another town 15 kilometres away. 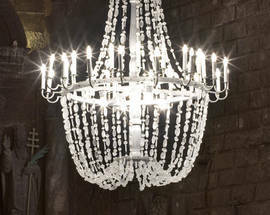 Not only is Wieliczka Salt Mine a World Heritage Site, but it has the distinction of having been included (along with Kraków’s Old Town and Kazimierz districts) on UNESCO’s first-ever World Heritage List back in 1978 (you know, back when being a World Heritage site actually meant something). Additional accolades aside, this unique industrial heritage site has been a popular destination for centuries and if you’re visiting Kraków for more than a few days, you should consider a short side trip out to Wieliczka. 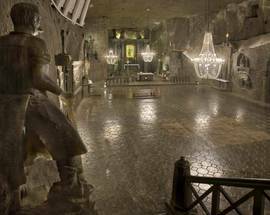 One of the most famous attractions in all of Poland, the Wieliczka Salt Mine is what has drawn tourists to this small town for centuries. 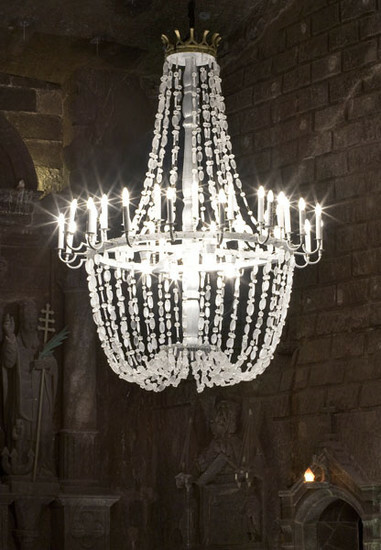 Visiting this underground realm can be done in a number of ways. 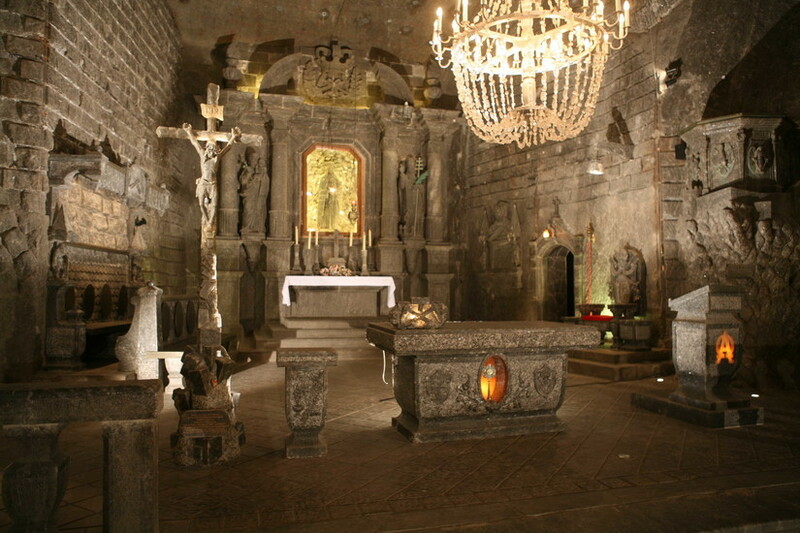 Most popular is the traditional ‘Tourist Route,’ which leaves from the Daniłowicza Shaft and covers the most impressive parts of the mine, including ancient mining tools and technology, saline lakes, and numerous majestic chambers and chapels, particularly St. Kinga’s Chapel. 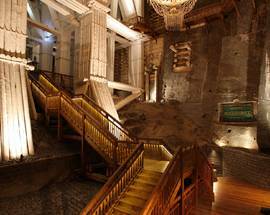 An alternative option is the more interactive ‘Miners' Route,’ which leaves from the Regis Shaft and involves participants being assigned a role by the foreman/tour guide and experiencing the daily routines, rituals and secrets of working underground. 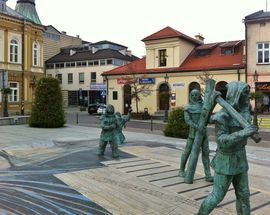 As one of the oldest and most wealthy towns in Małopolska, it’s safe to assume that not all of Wieliczka’s wonders reside underground. 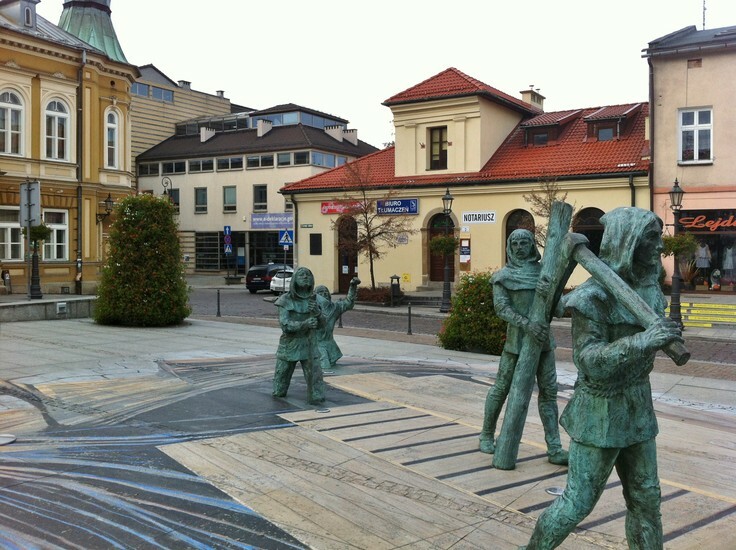 Listed as a historical monument in 1994, the centre of the town itself is easily walkable and perfectly charming, including a handsome town square, the Saltworks Castle, St. Clement’s Church, the Graduation Tower, Underground Health Resort and the Franciscan Monastery. 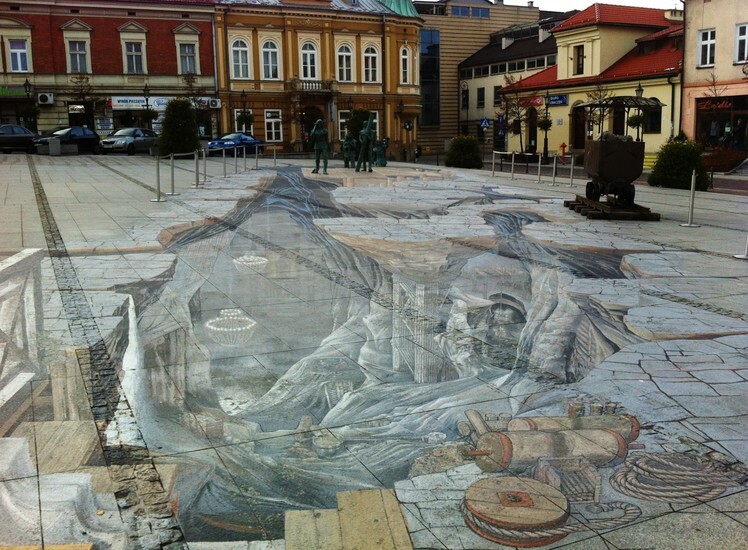 About 20 million years ago, Kraków and the surrounding area apparently lay at the bottom of a shallow, salty sea. Unfortunately for those of us here today, the beaches are gone, but left behind were some enormous salt deposits, shifted hundreds of metres underground by tectonic movements. 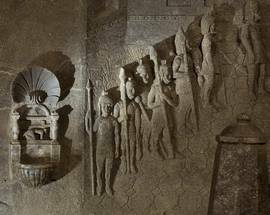 Though cheap and universally accessible today, salt was an extremely valuable commodity centuries ago due to its ability to preserve food, especially meat. 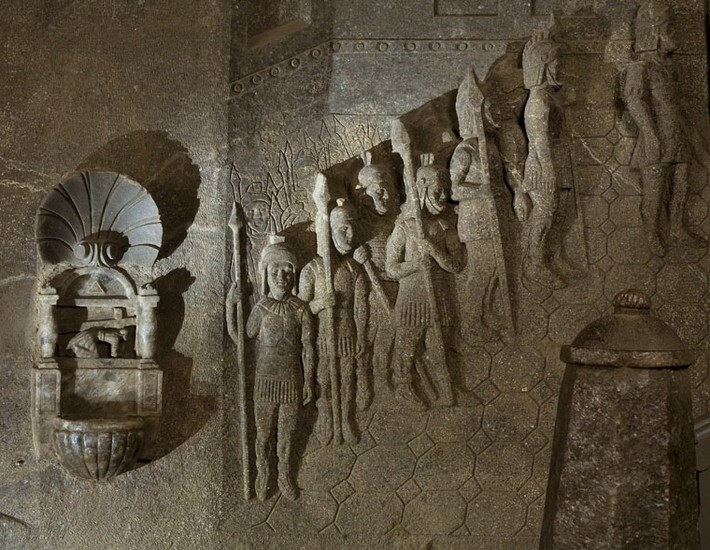 An ancient sign of wealth, salt was used as currency before there was money; Roman soldiers who ably performed their duties were said to be ‘worth their salt’ and the word ‘salary’ comes from the Latin word ‘salarium’ used to describe their salty wages. 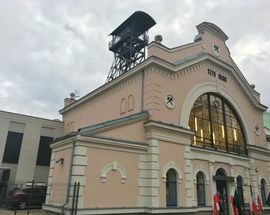 Salt extraction by boiling water from briny surface pools in the regions surrounding Kraków can be traced back to the middle Neolithic era (3500 BC), but it was the discovery of underground rock salt in the 13th century that led to the rapid development of the area. 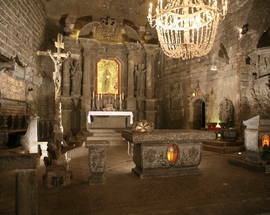 Underground extraction began in nearby Bochnia in 1252 and was established on an industrial scale in Wieliczka by the 1280s; soon both cities had earned municipal rights and by the end of the 13th century the Cracow Saltworks was established to manage both mines, with its headquarters in the Wieliczka castle complex. 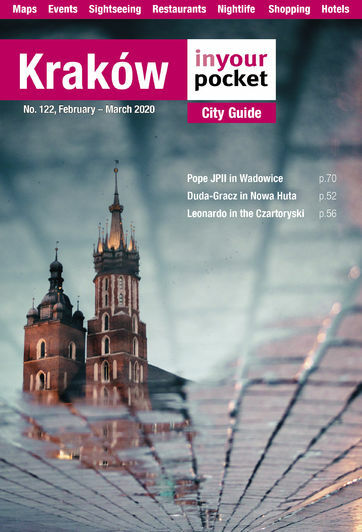 One of the first companies in Europe, the Cracow Saltworks brought vast wealth to the Polish crown for the next 500 years until the first partition of Poland in the 18th century. Its heyday was the 16th and 17th centuries when it employed some 2,000 people, production exceeded 30,000 tonnes and the Saltworks accounted for one third of the revenue of the state treasury. 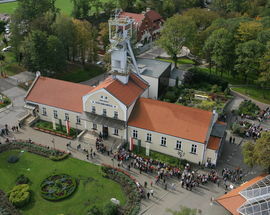 Under Austrian occupation (1772-1918) production was further increased by mechanising the mining works with steam and later electric machinery, and the first tourist route was opened. 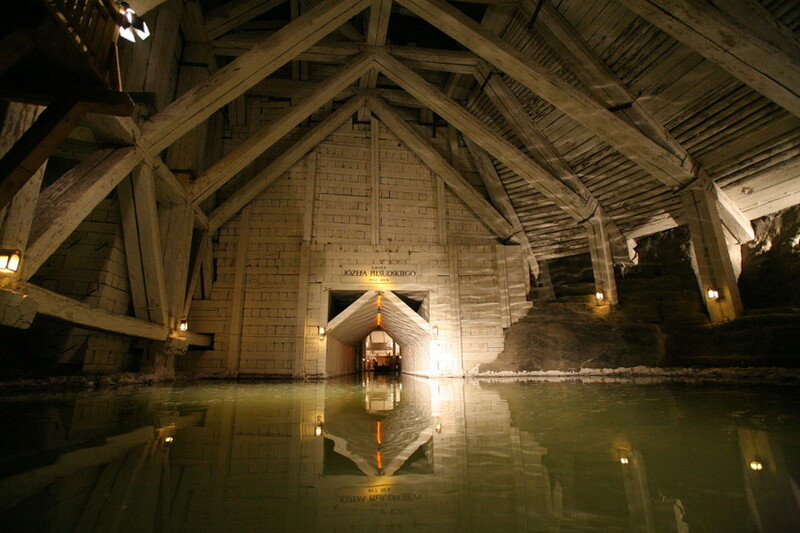 By the 20th century however, over-exploitation and neglect of necessary protection works had begun to destabilise the mine’s condition and the market value of salt no longer made it a viable enterprise. 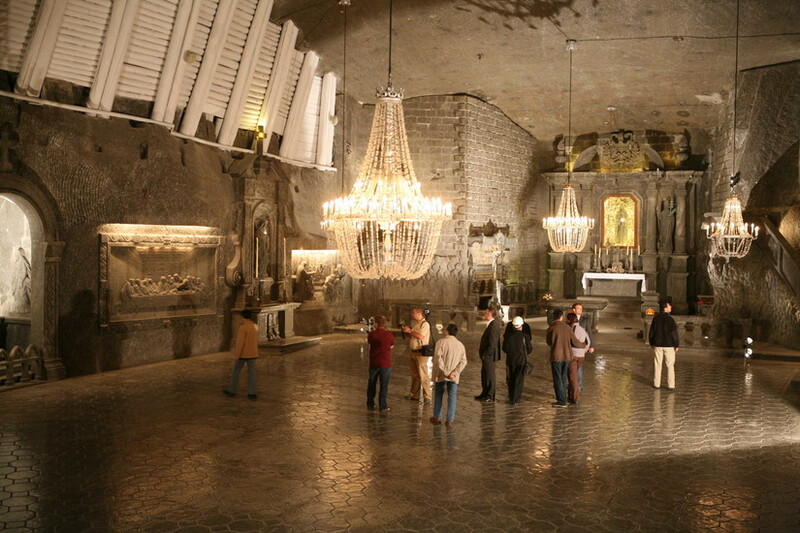 In 1964 the extraction of rock salt was halted in Wieliczka and in 1996 exploitation of the salt deposit was stopped altogether. 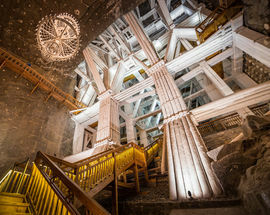 Despite the significant hazards of the day (flooding, cave-ins, explosive gas), over the course of seven centuries 26 access shafts and 180 fore-shafts connecting individual levels had been drilled in Wieliczka. 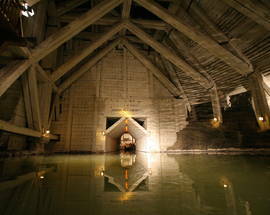 2,350 chambers had been excavated with over 240km of tunnels reaching a maximum depth of 327m underground. 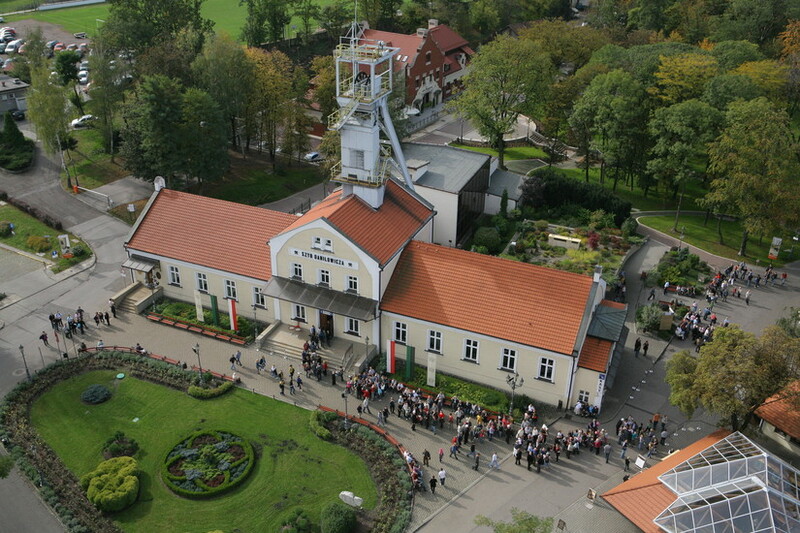 Due to its unique saline microclimate and innovative engineering, the mine has been well preserved and is today used for historical, medicinal and tourist purposes.